Planting your own vegetable garden gives you easy access to fresh, healthy, chemical-free produce. For those who are unable to plant a garden due to physical limitations, lack of space or poor soil conditions, the Topsy Turvy is an ideal alternative growing option. Crops grown in the Topsy Turvy have fewer weeds and are easy to maintain and harvest. The Topsy Turvy takes up little space and can be hung on porches, patios and balconies. 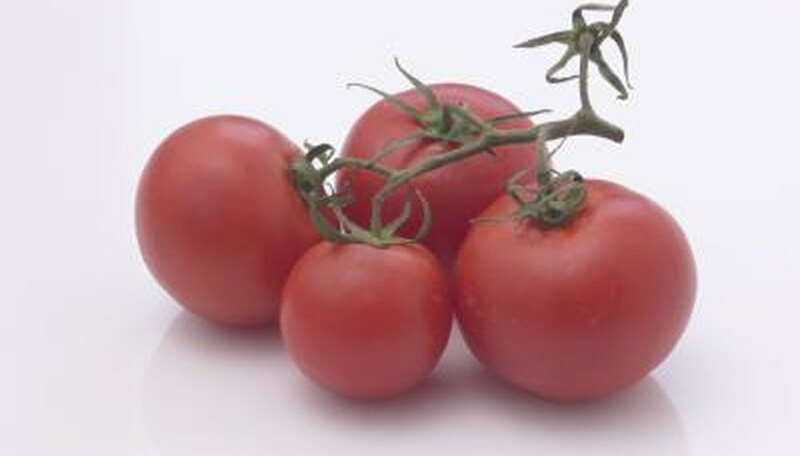 The most common vegetable grown in a Topsy Turvy is the tomato. One of the benefits of growing tomatoes in an upside-down container is that the plants don't have to be staked or caged. 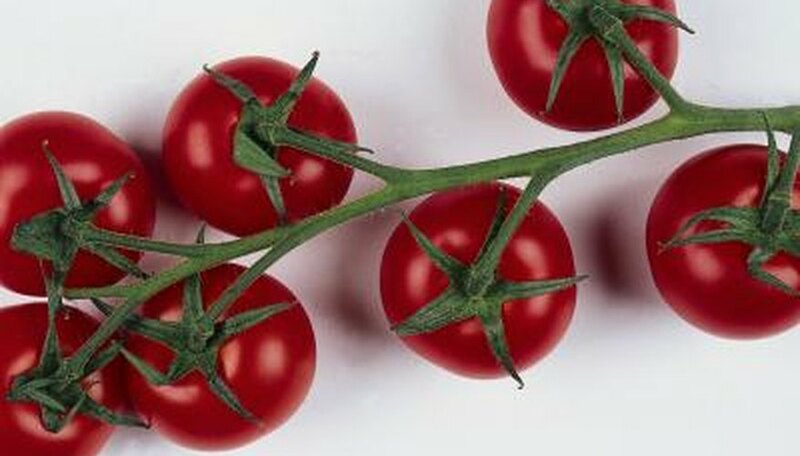 Any size tomato will grow in the Topsy Turvy, but the smaller grape and cherry tomatoes are easier to maintain when grown upside down. The Sweet Olive and Sungold variety of cherry tomato and the Juliet variety of grape tomato thrive in the Topsy Turvy. Hang your tomato plants in an area where they will receive at lest six hours of sun each day, and water the plants once a day to keep them from drying out. Almost any variety of pepper will grow in a Topsy Turvy upside-down container. Growing peppers in a Topsy Turvy eliminates the need for stakes and cages for larger varieties of peppers. 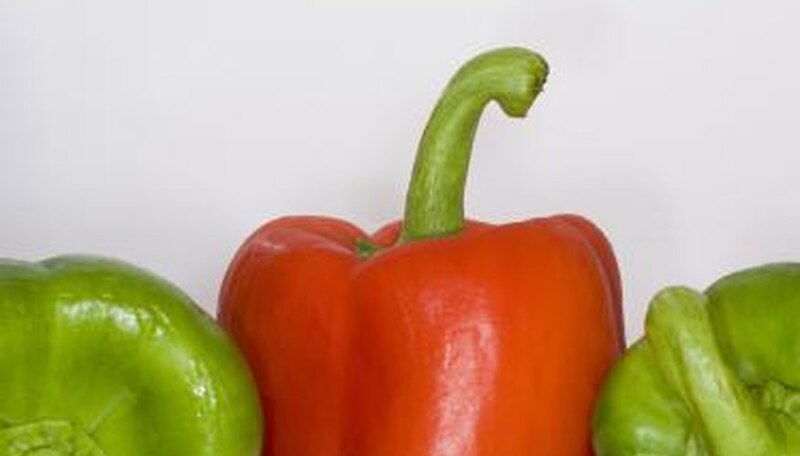 Use the Topsy Turvy to grow bell peppers, sweet banana peppers or hot cayenne, chili or jalapeno peppers. Place your pepper plants in areas where they'll receive six hours of full sun each day. Water your crops every day since plants that hang in upside-down containers have a tendency to dry out faster than those planted in the ground. 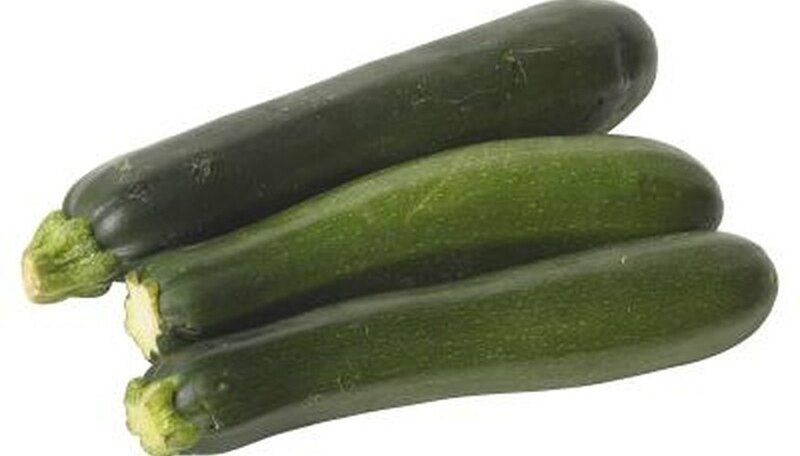 Zucchini is an easy-to-grow vegetable that will thrive when planted in a Topsy Turvy. When grown upside down, the zucchini fruit is off the ground, which reduces rotting of the fruit. Zucchini plants that grow in a Topsy Turvy are less susceptible to fungal diseases due to the increase of air circulation. Varieties of zucchini that grow in a Topsy Turvy are Black Beauty, Cocozelle, Elite and Chefini. Zucchini requires at least six hours of full sun each day, so hang your Topsy Turvy in an area where plants will get the proper light. Water zucchini every day to prevent the plants from drying out. Cucumbers and beans grow well when planted in a Topsy Turvy. 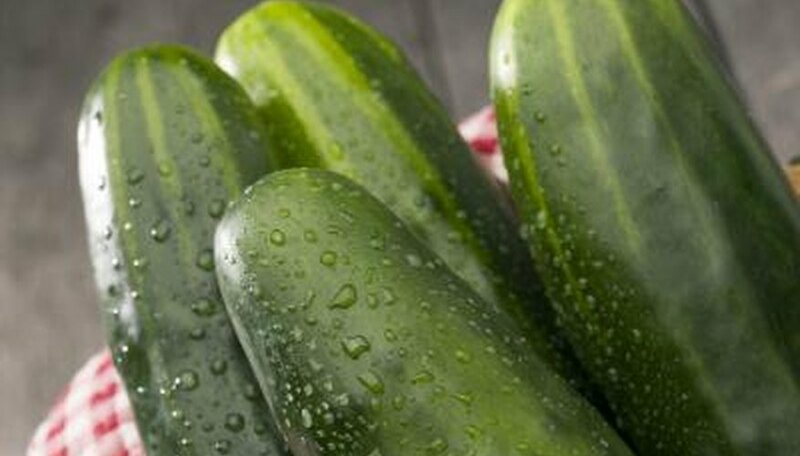 Plant slicing cucumbers like the Burpless, Marketmore 76 and Straight 8 or pickling cucumbers like the Carolina in the Topsy Turvy. Plant either pole or bush beans in a Topsy Turvy. Choose Blue Lake, Kentucky Blue or Kentucky Wonder pole beans or the Bush Kentucky Wonder or Derby variety of bush beans to use in your Topsy Turvy container. Both beans and cucumbers require full sun to thrive, so hang your Topsy Turvy where plants get at least six hours of sun each day, and water your crops every day.